Sept. 17, 2018–We publish this article today to commemorate Constitution Day, the 231st anniversary of the signing of the founding document of the United States of America. It was Supreme Court Justice John Marshall who firmly embedded Alexander Hamilton’s American System into U.S. Constitutional law, and it is critical that his legacy be understood today.–ed. John Marshall is generally – and correctly – viewed as “the Great Chief Justice,” in fact, America’s greatest Chief Justice. In this, the concluding article of our series, we will examine what it was that Marshall accomplished, and how and why he was able to do what he did. 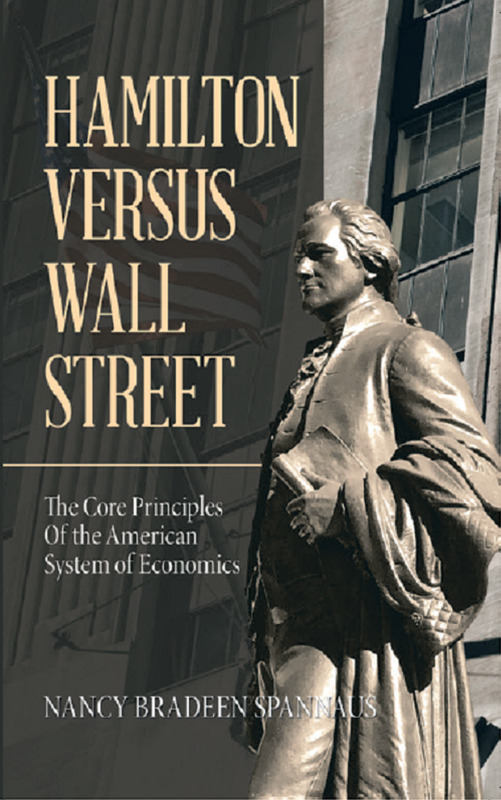 And we will do this – as we have done throughout this series – with a unique emphasis: Marshall’s close connection to Alexander Hamilton and the American System of Political Economy. One unique feature of John Marshall’s life of public service, is that it spanned the 60-year period from 1775 to 1835, from the organization of the Continental Army in the Revolutionary War, to the era of so-called Jacksonian democracy – with much of that period dominated by the partisanship and factionism which the Founding Fathers feared so much. Marshall’s formative years of public service took place at a time when he and his generation were creating a republic in which virtue and wisdom were the most esteemed qualities – qualities scornfully dismissed as “elitism” by today’s devotees of “peoples’ history.” His career closed at a time when demagogic appeals to the crowd (or the mob) were the currency of political life. When John Marshall assumed the office of Chief Justice of the United States in February 1801, he took charge of a Supreme Court which was a distant third among the three branches of the federal government, weak and seemingly of little importance. The first Chief Justice, John Jay, had resigned in 1795 to become Governor of New York; when asked by President Adams to return to the Court in 1800, Jay declined, regarding the Court as too insignificant. It was a court of law, ordinary law. Constitutional questions were considered political, and therefore the province of the “political branches:” the Executive and the Legislative. Only a few cases had come before the Court in its first decade that even involved the Constitution – and the idea that the Supreme Court would not only decide on Constitutional questions, but have the final word on the interpretation of the Constitution as against the President and the Congress, as well as over the State governments, was an idea whose time had not yet come. John Marshall changed all that. Over the next two decades, he established the Supreme Court as an independent, co-equal third branch of the federal government. More important, he established the Supreme Court as the prime expositor of the Constitution, and established what we today call Constitutional law, placing it under the jurisdiction of the Supreme Court. He defined the Constitution as “law,” which, although superior to the common law and statutory law, was to be construed and interpreted in the same manner. While this may seem self-evident to us today, it was a revolutionary notion in 1801. The particular law that Marshall and the Supreme Court were declaring to be unconstitutional, was a stature passed by Congress, Section 13 of the Judiciary Act of 1789; the Court said that it had enlarged the Court’s jurisdiction beyond that allowed by the Constitution, and was therefore void. Indeed, this was the only time in Marshall’s tenure on the high court, that the court declared a federal statute unconstitutional. Because of the deft manner in which Marshall handled the political features of the Marbury case, the ruling – however momentous were its long-term implications – was not particularly controversial at the time. But when Marshall extended the principle of judicial review to state legislation and state court decisions — which he did far more often – all hell broke loose. This became a frenzy during the 1819-21 period, as a result of the Supreme Court rulings cited in the first two articles in this series (New Hampshire legislation in Dartmouth College; a New York bankruptcy law in Sturges vs. Crowninshield; Maryland’s taxation of the Bank of the United States in McCulloch; and Virginia’s anti-lottery law in Cohens). The Old Supreme Court Chamber, as preserved today. These great accomplishments of John Marshall cannot be fully understood without seeing them as part of Marshall’s consolidation of Hamilton’s economic outlook – the American System – into U.S. constitutional law. As we have shown, Marshall’s insistence that federal law and the Constitution were supreme in matters of economic development and commercial law was not just a matter of aggrandizing power in the federal government; it was the only way of ensuring that uniformity in economic matters and commercial law which was necessary if the new nation were to survive and prosper. Were we to be one nation, or a league of 13, or 20 or more, states, each with its own economic laws and commercial regulations? It is important here to take note here of Marshall’s explicitly Hamiltonian view of the Constitution. His avowed emphasis was on affirming the powers – express and implied – of Congress and the national government (particularly with regard to Article I, Section 8), and enforcing the Constitution’s limits on the powers of the states (as specified in Article I, Section 10). As we saw, time and time again, in our review of Marshall’s chief justiceship, the question of the Union was inseparable from that of what kind of economy were we to have: a slave-based, feudal agrarian economy, or a modern agro-industrial economy based on free labor. The “American System” of Hamilton, Clay, and Lincoln – national banking, internal improvements, and protective tariffs to protect our rising manufacturing industries – was the issue of Union versus Disunion (or Nullification), which was ultimately only resolved by the Civil War. Without John Marshall’s role in ensuring that our developing Constitutional law provided the legal infrastructure for the American System, it is probable that the United States would have been permanently broken up into warring sectional blocs long before 1860. I had grown up at a time when love of union and resistance to the claims of Great Britain were the inseparable inmates of the same bosom;–when patriotism and a strong fellow feeling with our suffering fellow citizens of Boston were identical;–when the maxim “united we stand, divided we fall” was the maxim of every orthodox American; and I had imbibed these sentiments so thoroughly that they constituted part of my being. I carried them with me into the army where I found myself associated with brave men from different states who were risking life and everything valuable in a common cause believed by all to be most precious; and where I was confirmed in the habit of considering America as my country, and congress as my government. I partook largely of the sufferings and feelings of the army, and brought with me into civilian life an ardent devotion to its interests. My immediate entrance into the state legislature opened to my view the causes which had been chiefly instrumental in augmenting these sufferings, and the general tendency of state politics convinced me that no safe and permanent remedy could be found but in a more efficient and better organized general [national] government. “America as my country, and Congress as my government!” Those who thought that way during the Revolutionary War were a decided minority, and most of those were fighters in the Continental Army who were learning from hard experience the importance and necessity of a strong central government, which the Confederation solely lacked. Marshall’s nationalism was cast at Valley Forge, where he served as both a line officer (a company Captain in Daniel Morgan’s famed 11th Virginia Regiment), and as a staff officer (as George Washington’s top legal officer). This was where he first met Alexander Hamilton, who was already planning the financial and credit structure of the new nation. John Marshall had joined the Culpeper Minutemen, part of the Virginia militia, in 1775, in which he was appointed first lieutenant. In 1777, he participated in the battles of Brandywine, Germantown in Pennsylvania, and then Monmouth in New Jersey in 1778. In 1779 his unit participated in the capture of Stony Point on the Hudson River in New York, and in the engagement at Paulus Hook in New Jersey. He retained his Captaincy in the Continental Army until being discharged in 1781. In the 1790s he was often referred to as “General Marshall” due to his leadership in the Virginia state militia. In 1782 he was elected to serve in the Virginia House of Delegates representing Fauquier County, and while in that body, he was selected as one of eight members of the Governor’s Executive Council (an advisory body, also known as the Privy Council or Council of State), giving him a first-hand view of the operations of the executive branch of the state government. He resigned from that position before his two-year term was complete, under pressure from others who resented his youth (he was only 27 years old), and who criticized him for continuing to earn a living by continuing his law practice. In 1784 he was again elected to the House of Delegates from Fauquier County, and then he was elected to three more terms representing Henrico County (Richmond) after he had moved there. Overall Marshall served five terms in the Virginia House of Delegates, giving him a front-row seat for the petty squabblings and jealousies which occupied state legislatures in the 1780s, prior to the adoption of the federal Constitution. My immediate entrance into the state legislature opened to my view the causes which had been chiefly instrumental in augmenting these sufferings, and the general tendency of state politics convinced me that no safe and permanent remedy could be found but in a more efficient and better organized general [national] government. The questions too, which were perpetually recurring in the state legislature, and which brought into doubt principles which I thought most sound, which proved that everything was afloat, and that we had no safe anchorage ground, gave a high value in my estimation to that article in the Constitution which imposes restrictions on the states. [Art. I, Sec. 10] I was consequently a determined advocate for its adoption, and became a candidate for the convention to which it was to be submitted. Despite his youth, and the fact that he was much lesser known to the public than other Virginia political leaders, Marshall played an important role in the adoption of the 1787 Constitution, as a delegate to the Virginia ratification convention. The debate in the Virginia convention was the most thorough and far-reaching of any of the state ratifying conventions. Of course the Philadelphia Constitutional Convention had been a secret proceeding, so little if anything was known about the debates that took place there behind closed doors and windows. On the other hand, the full Virginia debate was transcribed by a stenographer. Virginia was pivotal. Nine states were required to ratify, for the new Constitution to take effect. By the time the Virginia ratification convention met, eight states had already ratified. Virginia’s assent was also essential if the new Constitution were to function: the largest state, it had one-fifth of the population of the nation (if one could call it that), and one-third of the commerce. Patrick Henry, the chief opponent of the Constitution, at the Virginia ratifying convention. The strength of the opposition to the proposed Constitution, and the ability of the speakers on both sides, gave the Virginia convention an intellectual and political quality unmatched anywhere else. Patrick Henry led the opposition, and James Madison headed the Constitutionalists. And it was not clear until the very last day, whether Virginia would in fact vote to ratify or not. The Virginia convention was led by men much older than Marshall. Edmund Pendlelton, Chief Judge of Virginia’s highest court, was elected president of the convention; and George Wythe, Chancellor of Virginia and Professor of Law at the College of William and Mary, was designated chairman of the Committee of the Whole, where most debate took place. Marshall gave three speeches to the convention. They provide insight into the development of his thinking about the Constitution, this at a time when he had only been practicing law in the courts of Virginia for five years, and being more than two decades before he would be appointed to the U.S. Supreme Court. Much of his first speech, delivered June 10, was a reply to Patrick Henry’s defense of the British (unwritten) constitution as superior to that drafted in Philadelphia. “It matters not … whether [the British constitution] be a wise one,” declared Marshall. “I think, that for America at least, the Government on your table is very much superior to it.” Marshall emphasized that what the proposed Constitution created, was a “well-regulated democracy,” which system is preferable to any monarchy. Patrick Henry had talked about “maxims” to be observed. Marshall said he agreed. “But what are the maxims of democracy?” And here we see that same view that Marshall would express decades later with respect to contracts: “A strict observance of justice and public faith, and a steady adherence to good government.” These principles – of justice and good faith – had not been observed under the Confederation, or else the members of the convention wouldn’t be there debating its replacement. Any attempt to draw an analogy the British government and the new proposed government, was misplaced, Marshall contended. The arguments against taxation without representation do not apply. Henry objected to Congress being given the power of taxation, but this power is necessary: “without it there will be no efficiency in government.” This had been demonstrated in time of war under the Confederation, when the very existence of independence was at stake. One state cannot protect the people, or promote the general welfare. This can only be done by national government. A defenseless country cannot be secure. “The powers of Europe are jealous of us. It is in our interest to watch their conduct and guard against them.” Our weakness invites them to attack us, and could bring about partition. The power of taxation is necessary to protect us. “How are armies to be raised?” he asked. John Marshall in the 1790s. This is Marshall’s pronouncement, more than three years before Hamilton submitted his celebrated Report on Manufactures during the first presidential administration under the new Constitution! This speech is notable, as John Marshall’s first recorded statement on the Constitution. It draws heavily on his military experience during the Revolution, as most historians writing about it have observed. In fact, as one biographer (Beveridge) points out, two-thirds of the speech concerned the necessity of providing against war. “United we are strong, divided we fall,” Marshall proclaimed. After Patrick Henry had given a rousing speech on the alleged perils of the Judiciary Department under the proposed Constitution – warning that ‘the purse is gone, the sword is gone,” and now that scales of justice were to be given away – Marshall was designated to reply on behalf of the Constitutionalists. Marshall was venturing onto uncertain ground here, for there existed no Federal judiciary; there were no Federal courts at that time; and although the new Constitution presented the boundaries of its jurisdiction, much of the detail was left to the Congress. So not surprisingly, on some of the less important questions, Marshall turned out to be wrong. But on the big questions, he was prescient – and he was absolutely right. The new system, Marshall asserted at the outset, was a great improvement over the system then in place, which depended solely on the state courts, among which there was no uniformity. For Marshall, the new Federal courts would be the defenders of the Constitution, and the defenders of individual liberty. And here Marshall foresaw the exercise of what came to be called “judicial review” – no doubt little suspecting that he himself would be implementing this power a quarter of a century in the future. Under the proposed Constitution, Marshall pointed out, the powers of the Congress are delegated, and many powers – such as those involving property, contracts, or disputes between citizens of a state – are left to the state courts. But if they [the Congress] were to make a law not warranted by any of the powers enumerated, it would be considered by the [Federal] Judges as an infringement of the Constitution which they are to guard. They would not consider such a law as coming under their jurisdiction. They would declare it void. To what quarter will you look for protection from an infringement on the Constitution, if you will not give the power to the Judiciary? There is no other body that can afford such a protection. Patrick Henry, Marshall’s chief adversary at the Convention. When the convention reconvened on Monday, the opposition put up no less than Patrick Henry to respond to the young Marshall. After some particularly vociferous speeches, including personal insults, the debate drew to a close. The next day was largely devoted to maneuvering around the question of amendments to the Constitution: should ratification be conditioned on the adoption of specified amendments, or should the proposed amendment be only recommendations for future consideration? Wythe’s resolution for ratification with amendments being recommended for later Congressional consideration, carried by only eight votes out of 168, and then the Constitution was approved by an 89 to 79 vote of the delegates. John Marshall, as eyewitness and participant, understood how thin the margin of support for the new Constitution was in Virginia. He would spend the coming years fighting for its implementation as a member of the Virginia legislature, and then ultimately, as the nation’s Chief Justice. Jefferson returned from France in 1789, cagily still not fully committing himself on either side. The anti-Federalists, still led by Patrick Henry, dominated the Virginia legislature, and Jefferson soon publicly inclined toward them. At Washington’s urging, Madison stood for the U.S. Senate in the Fall of 1788, but was roundly rejected by the Virginia General Assembly; he was then elected to the U.S. House of Representatives after moderating his nationalist views. Soon he would come under Jefferson’s spell and flip completely over to the other side. As soon as the national government was formed, unbeknownst to Marshall, Washington appointed him as the United States Attorney for the District of Virginia, and he was confirmed by the Senate. But when Marshall learned of the appointment, he declined. Seeing the mutiny against Washington’s government underway in the Virginia legislature, he believed he could be of more use there, and so he ran for election as the delegate from Henrico County (Richmond) in the 1789 elections. Although the electorate was overwhelming opposed to the new Constitution, Marshall was sufficiently well-regarded that he was elected – this being a time before factional lines had sufficiently hardened to ensure a party-line vote. The first major question facing the U.S. Congress (after the adoption of amendments to the Constitution) was finances: the voluminous public debt, including debt contracted during the Revolution by both the Confederation, and by the states, and the precarious state of public and private credit. Hamilton’s Report on Public Credit showed the path out of this morass, with his proposals for the new national government to fund the debt and to assume the state debts incurred during the Revolution. The Bank of the United States, one of the aspects of the Federalist System Marshall fought to defend. To attempt to diminish the growing factional divide, George Washington had brought Jefferson into his administration as Secretary of State, sitting along side Hamilton as Secretary of the Treasury. The compromise worked out between the two of them in June 1790 provided for southern votes in Congress supporting Assumption of the state debts, and northern votes supporting the location of the new national Capital astride the Potomac. After serving in the state legislature in the 1789-91 terms, Marshall declined to run again, believing that the Hamiltonian program, now enacted into law, was secure, and observing the revival of commerce and national prosperity which it triggered. This coincided with the degeneration and radicalization of the French Revolution, so that the Jeffersonian Republicans became increasing identified with the Jacobin currents in France, as well as with the anti-Constitution, states’ rights movement inside the United States. I learn that he [Hamilton] has expressed the strongest desire that Marshall should come into Congress from Richmond, declaring that there is no man in Virginia whom he wishes so much to see there; and I am told the Marshall has expressed half a mind to come. Hence I conclude the Hamilton has played him well with flattery & solicitation and I think nothing better could be done than to make him a judge. French rabblerouser Genet (right) speaking with Thomas Jefferson. As Marshall himself wrote in his Autobiographical Sketch decades later, the arrival of the Minister from Revolutionary France, Edmund Charles Genet, stirred up great sensation in the southern states, and Marshall himself organized a public meeting in Richmond warning of the danger of allowing a foreign official to influence American affairs, especially the Administration’s policy of neutrality. The resentments of the great political party which led Virginia had been directed towards me for some time, but this measure brought it into active operation. I was attacked with great virulence in the papers and was so far honored in Virginia as to be associated with Alexander Hamilton, at least so far as to be termed his instrument. With equal vivacity I defended myself and the measures of the government. Marshall’s resolve to never again go into the legislature, as he pointed out, was weakened by the frequency of the political altercations in which he was involved, and he returned to the General Assembly in 1795, just in time for the fight over the Jay Treaty – which grew out of efforts to halt British depredations and to settle commercial disputes. It was the belief of John Quincy Adams and other statesmen that British was trying to draw the new United States into war – a desire which the pro-French “democratic clubs” were happy to oblige. Recognizing that war with Britain would be suicidal, Washington had dispatched John Jay to negotiate a treaty. The Jay Treaty – unequal and humiliating, but a strategic necessity – was wildly unpopular, and triggered protests throughout the land, goaded on by the Francophile Jacobins centered among the Jeffersonian “Republican” (whom the Federalists called “Democrats).” Jay was everywhere burned in effigy; Hamilton was publicly stoned in New York; Washington was reviled and subjected to calls for his impeachment. At the urging of Hamilton, Marshall organized a public meeting in Richmond in support of President Washington, as he had also done three years earlier. Although initially predisposed against Washington and the treaty, Marshall won the assembly over. Afterwards, Marshall wrote an extensive report for Hamilton, warning that the “ruling party” in Virginia was extremely irritated by the vote and the meeting, and would spare no effort to mobilize the opposition in other parts of the state. Marshall had assumed leadership of the outnumbered supporters of the Treaty in the Virginia legislature. Shortly after this, President Washington recalled James Monroe, his minister to France, because of Monroe’s partisanship and overly-sympathetic posture toward the French. Washington sought out Marshall to replace Monroe in Paris, but Marshall declined, as he had earlier declined the position of Attorney General. When John Randolph was forced to resign as Secretary of State over his corrupt dealings with France, Washington again looked to Marshall. But, as he lamented in a letter to Hamilton, he feared that Marshall would once again decline the appointment. As Washington’s second term came to an end, he was subject to a torrent of abuse from the Republicans, being labeled an aristocrat, an oppressor of the people, a thief, and even a murderer. Old slanders from the anti-Washington cabal in the Revolutionary War were revived. Marshall, outraged by these vile attacks on his President and Commander-in-Chief, determined to stand again for the legislature, and was elected. Thermidorian France, unable to block ratification of the Jay Treaty, retaliated by escalating its attacks on American shipping and commerce. In the Spring of 1797, the newly-inaugurated President John Adams sent Minister Charles Pinckney to France, who was rebuffed by the Directory. Desirous of avoiding war, Adams decided to sent a strengthened delegation to Paris, adding John Marshall and Elbridge Gerry. On his way to Philadelphia, Marshall stopped at Mount Vernon for consultations with Washington, and then once at the Capital, he met with Hamilton as well as with Adams. French head of state Charles Talleyrand, whose demand for bribes Marshall denounced. The French followed Jefferson’s advice faithfully, treating the American with contempt, refusing to negotiate, and demanding a bribe as a precondition for any talks. In the face of French recalcitrance, Marshall emerged as the leader of the delegation in what became known as the “XYZ Affair.” To make a long story short, before Marshall and Pinckney’s return in mid-1798, Marshall’s dispatches to the Adams Administration had been published in the newspapers, and a wave of patriotic outrage swept the country. Marshall was welcomed as a national hero upon his return, and “Millions for defense, but not a cent for tribute” became the nation’s battle cry. Shortly after his return to Richmond, Marshall came under pressure from the Virginia Federalists to stand for Congress in coming election. Having been out of the country for a year during which he was forced to abandon his law practice, Marshall found himself in dire financial straits, and declined the invitation to run. However, when in September, he visited Mount Vernon for 4-5 days, Washington begged, pleaded, and eventually ordered Marshall to run for Congress. What finally persuaded Marshall was Washington’s own example of personal sacrifice made out of a profound sense of duty to the country, even after he had resolved to withdraw from public life. Marshall came to believe that he hiimself could do no less, and thus became a candidate for public office once again. Despite his own personal popularity, Marshall quickly had to contend with the popular backlash against over-reach by the High (New England) Federalists. Not only had they come very close to declaring war on France in the summer of 1798, but they had passed the Alien and Sedition Acts which not only targeted foreigners, but which clearly violated the First Amendment to the U.S. Constitution. Marshall’s opposition to the Alien and Sedition Acts (in which he was joined by Hamilton) brought down on him the wrath and fury of the New England Federalists. His opposition was not only principled, but pragmatic: he recognized that it could give the Republicans a winning issue in the 1800 presidential elections. Congress Hall in Philadelphia, seat of U.S. government in the 1790s. Meanwhile, Associate Justice James Wilson died in September 1798, and President Adams prepared to nominate Marshall to succeed Wilson on the Supreme Court. Marshall declined, while endorsing Adams’ second choice, Bushrod Washington. The Congressional campaign degenerated into Marshall being targeted with the same sort of slander and villification with which Washington had been smeared. Things got even hotter around the Kentucky and Virginia Resolutions. In November, the Jefferson-authored “Kentucky Resolution” was passed which declared the right of a state to nullify an Act of Congress, in this case, the Alien and Sedition laws. Using Jefferson’s draft, Madison then drew up a similar resolution which was passed by the Virginia legislature in December. As Virginia called on other states to join it in preserving the “authority, rights, and liberties reserved to the states,” talk of secession and civil war was in the air. Madison then wrote a campaign pamphlet, circulated officially by the Virginia legislature, defending “State Sovereignty” against federal encroachments such as represented by the Alien and Sedition Acts. It was widely recognized that the principal target of Madison’s diatribe was Marshall, the most important Federalist Congressional candidate in the state. The bitterly-fought election contest was too close to call until the final tally in April 1799. Many historians believe that the intervention of Patrick Henry (who by this time had swung around to becoming a strong supporter of the Constitution and the national government) in endorsing Marshall, turned the election in Marshall’s favor. This earned Henry the eternal emnity of Thomas Jefferson. The Sixth Congress convened at the beginning of December 1799. One of Marshall’s first assignments, was to draft the House’s response to President Adams’ December 3 address to Congress. It was a delicate task, taking place in the wake of the suppression of a new tax rebellion (Fries’ Rebellion) in Pennsylvania, and widespread discontent over Adam’s second mission to France. Under a Constitution where the public burdens can only be imposed by the people themselves, for their own benefit, and to promote their own objects, a hope might will have been indulged that the general interest would have been too well understood, and the general welfare too highly prized, to have produced in any of our citizens a disposition to hazard so much felicity, by the criminal effort of a part, to oppose with lawless violence the will of the whole. In mid-December, Congress received word of the death of George Washington. Marshall was immediately sought out by his colleagues who asked him to move for an adjournment. He did so, and when the House reconvened the next day, Marshall still had the floor, and delivered the eulogy which concluded with the famous words: “First in war, First in peace, First in the hearts of his countrymen.” Although usually attributed to Marshall, he took pains to point out that they were written and given to him by Henry Lee. Marshall delivered the eulogy for President Washington in Congress. Here, his funeral procession in Philadelphia. Marshall co-chaired the Joint Congressional Committee in charge of arrangements for the funeral, which was held at the largest church in Philadelphia, the German Lutheran church, six blocks from Congressional Hall. (Jefferson refused to attend.) After the funeral, Marshall introduced legislation, on behalf of the Joint Committee, authorizing the erection of a monument to Washington in the District of Columbia, which had been designated as the new capital. In May 1800, Marshall’s brief Congressional career came to an end. Adams, in a paranoid fit of rage against Hamilton, fired his Secretary of War, John McHenry on May 5, and, unbeknownst to Marshall, nominated him to succeed McHenry. As soon as Marshall learned of it, he asked Adams to withdraw the nomination; Adams refused, and Marshall was quickly confirmed as Secretary of War by the Senate on May 9. On May 10, Adams demanded that Secretary of State Pickering resigned. Pickering refused, and Adams dismissed him two days later, and immediately sent Marshall’s name to the Senate for confirmation as Pickering’s successor. On May 13, the Senate duly confirmed Marshall again, this time as Secretary of State! After agonizing over the matter for two weeks, Marshall accepted the post, becoming the head of the Cabinet and the de facto chief of the government. When the capital moved from Philadelphia to Washington, D.C. in June 1800, Adams went home to Massachusetts, leaving Marshall effectively in charge until October. At that time, the responsibilities of the Secretary of State extended beyond foreign affairs to domestic affairs – handling functions that were later delegated to the Justice, Interior, and Commerce Departments. Marshall’s most important task as Secretary of State was to deal with the growing conflicts with Great Britain – most importantly, the breakdown of negotiations over war-time debts to British creditors, British impressment of American seamen, and the British admiralty courts’ protection of British privateers who were attacking American ships and sea and seizing American goods on the high seas. Marshall’s masterful explication of American sovereignty and independence, his reiteration of the U.S. policy of strict neutrality with respect to France and Britain, and his attacks on the unjust practices of British courts and a demand that they respect the law, marked a shift from what had been seen as a pro-British stance by the Washington Administration in response to the French Revolution. By December 1800 – elections results were slow to be reported in those days – it was clear that twelve years of Federalist rule was coming to an end, and Marshall began making plans to return to Richmond so he could attempt to resuscitate his abandoned law practice and spend more time with his ailing wife. Chief Justice John Marshall was appointed in January 1801. That month, Chief Justice Ellsworth resigned due to ill health. Adams reappointed John Jay, who had resigned as the first Chief Justice in 1795 to assume the Governorship of New York. With a bill pending in Congress to reduce the number of Supreme Court Justices from six to five, Adams had no time to lose after Jay turned down the appointment in mid-January. Marshall had recommended to Adams that he elevate Associate Justice William Paterson to Chief, but Adams objected, probably due to Paterson’s strong support among the Hamiltonian wing of the Federalists, with whom Adams was in a raging conflict. As Marshall later described it, Adams hesitated a moment, and then said: “I believe I must nominate you.” This came as a complete surprise to Marshall, and indeed, to everyone else, for there had been no discussion of the possibility of Marshall’s being nominated. (There was discussion of making Marshall president if the deadlocked Jefferson-Burr contest could not be resolved.) Adams submitted the nomination of Marshall to the Senate the next day. Ironically, it was a group of Federalists in the Senate who delayed Marshall’s confirmation for a week; they wanted a more experienced jurist to be appointed, such as either Paterson or Associate Justice William Cushing. Finally, on January 27, 1801, John Marshall was confirmed unanimously by the United States Senate. His commission was executed on January 31, but he was in Richmond, and it wasn’t until February 4 that he notified Adams that he would accept the appointment. For the next month, until the inauguration of Thomas Jefferson as President on March 4, Marshall simultaneously held the positions of Secretary of State and Chief Justice. And so it was that, at 45 years of age, with two decades of experience in both the legislative and executive branches of state and federal government, plus experience as a military officer and a diplomat — but none at all as a judge — John Marshall commenced his 35-year tenure as Chief Justice of the United States. His Chief Justiceship would permanently transform the Supreme Court, and would firmly embed Alexander Hamilton’s American System into U.S. Constitutional law. Hamilton, Alexander, Opinion as to the Constitutionality of the Bank of the United States. Hamilton, Alexander, et al. The Federalist. Marshall, John: Autobiographical Sketch. New York: DeCapo Press, 1973. ____________: Complete Constitutional Decisions, John M. Dillon, ed. Chicago: Callaghan & Co., 1903. ____________: Writings, Charles Hobson, ed. New York: Library of America, 2010. Beveridge, Albert J., The life of John Marshall (4 vol.). Boston: Houghton Mifflin Co., 1916. Crosskey, William W. “John Marshall in History,” in Stanley Kutler, ed. John Marshall. Englewood Cliffs: Prentice-Hall, 1972. Hobson, Charles F., The great chief justice: John Marshall and the rule of law. Lawrence: University Press of Kansas, 1996. Konefsky, Samuel J., John Marshall and Alexander Hamilton. New York: McMillan, 1964. Robarge, David, A Chief Justice’s Progress. Westport: Greenwood Press, 2000. Smith, Edward Jean, John Marshall: Definer of a Nation. New York: Henry Holt and Co., 1996.